Retreat Pricing: $1300 plus your choice of accommodations. ** Does not include airfare, ground transportation, lunch and dinner meals while in Ashland. Be like a river. Be open. Flow. Imagine relaxation, adventure, immersion in nature, endless starry nights, sacred waterfalls, gourmet food, pampering, and yoga. 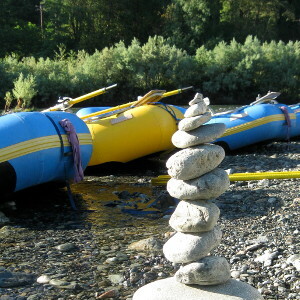 Join certified yoga instructor and long time river enthusiast, Cindy Phillips, for a unique retreat experience in the beautiful Pacific Northwest. 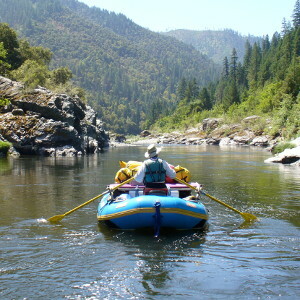 Your adventure starts with a 4 day / 3 night rafting trip down the Lower Klamath River, a class 3 whitewater experience with River Dancers. 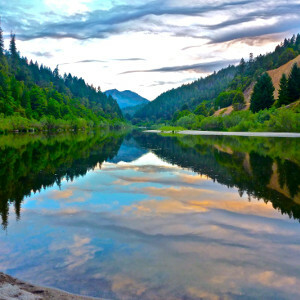 The Klamath River is a timeless river running though ancient mountains and forests from Oregon through California to the Pacific Ocean. Then continue on to spend 5 days / 4 nights in four acres of lush and rambling English inspired gardens. Relax with a good book under the grape arbor or by the Koi pond. At Lithia Springs Resort you experience amenities that promote well-being and relaxation. 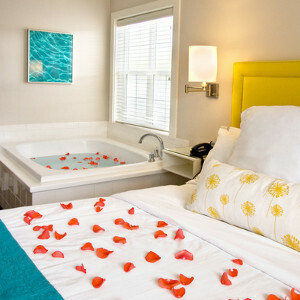 Nearly every room at the resort contains a soaking tub for unlimited soaking in the natural mineral water in the privacy of your own room or bungalow. For more information and to book a trip, please visit Island Yoga Space or call 941-224-0292.